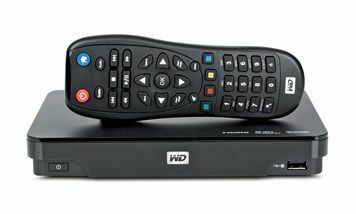 Western Digital WDTV Live review | What Hi-Fi? Getting a streamer that plays your computer media on your TV is great, but leaving your computer on so the content is always accessible is far less palatable. Adding network storage is a great way to go, but buying a NAS and streamer at the same time can be pretty pricey. That’s why the Western Digital WD TV Live Hub, which combines streaming with storage, makes sense. The storage element isn’t half-cocked, either. Despite its size (just 3cm tall), the Live Hub crams in a 1TB hard disk, which is good for a boatload of uncompressed music and HD video. It doesn’t automatically back up your data like some advanced, dedicated storage devices, but does have full DLNA/UPNP support and an iTunes server, so other streamers and computers on your network will be able to access its contents. Unlike rivals such as the Apple TV and Sony SMP-N100, the Live Hub isn’t fussy about media. With the exception of Apple Lossless, as long as it isn’t DRM-protected, it will almost certainly play – and that includes Blu-ray-quality 1080p 24fps video. Feed the Live Hub something around that resolution and it will reward you with a crisp and detailed picture with vibrant colours and great contrast. In fact, other than a very minor and occasional twitch to motion, video quality is hard to fault for a product of this type. The same isn’t quite true of the audio, though. The Live Hub will handle Dolby True HD soundtracks (though not DTS-HD Master Audio), but they sounds surprisingly gutless. There’s nothing offensive in there, but the weight, attack and scale that you expect from high-definition audio is missing. This lack of genuine drive affects stereo music too, making for a performance that’s better suited to background playing than serious listening sessions. Our only other gripe is that the ‘Services’ portal lacks video on demand, with Flickr and Facebook taking centre stage – but that may come. The real problem is that sound, but if you’re happy with a softer approach to audio, the Live Hub is great value.